I have been a debate coach since 1972–that’s over 40 years! Over those years, some of the students I worked with were satisfied just to complete a round of competition and still be alive when they finished. Others had national and international championships “in their headlights” and they were willing to do everything necessary to reach their goal. For me, helping beginners gain confidence has been as important as pushing champions to the top. Honestly, spending time in the vocation of coaching is something that I wouldn’t change for the world. This past weekend, I took a team of high school students to their first debate tournament of the season in Grand Forks, ND. As their coach, I was concerned about the beginners walking into their first competitive rounds. I wanted them to have a good experience. For the experienced students, I was hopeful that they would do well, as they already have spent a lot of time preparing and working on their cases. The results were rewarding! 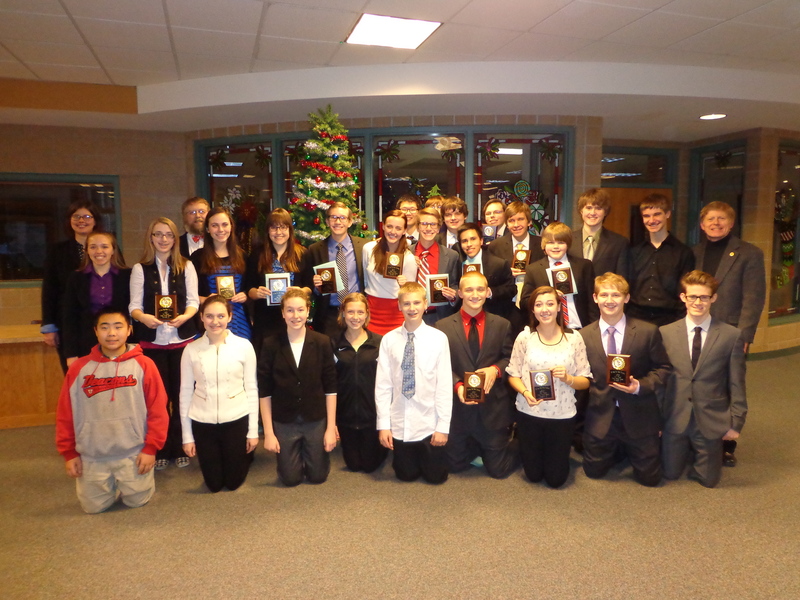 Every debater won at least one round of competition; and as a team, the group compiled 47 wins and 23 losses; winning 1st place in three of the six divisions and finishing 2nd and 3rd in two of the remaining three. Oh, they know there is work to be done; but, for the moment, the students reveled in their victories and I was so proud of their accomplishments. Working with young people and helping them develop confidence is something that continues to motivate me–even after 40 years. My personal commitment to working with young people has been rewarded many times over when my students have returned, years later, to tell me that working with me made a difference in their lives. Making a difference in the lives of others is something that matters to me. These students bring me joy when I watch them succeed in the world. The competition that occurred in Grand Forks is similar to what is currently underway in Multiple District 5. Just as my students counted on me to be there to help them achieve their goals at the debate tournament, the Lions of MD5 can count on me to give my very best effort when endorsed as a candidate for International Director. Making a difference in the world matters to me because serving the cause of Lionism brings joy to my life. Congratulations! Your team has outstanding results year after year largely as a result of your concern for the youth and your skilled, positive leadership style. Keep up the good work!